Wheels checks out I KILL GIANTS! "If I stay focused, if I'm worthy, I can stop death itself." This line is spoken by Barbara Thorson, a young girl who is an outcast in her sleepy seaside town. You see, Barbara is a loner who enjoys reading "Dungeons & Dragons" books more than talking to other kids her age and spends more time traipsing around the wooded area near her home then she spends at school. This is where we first meet her, wandering the woods, gathering seemingly random items: bits from a toadstool for example. 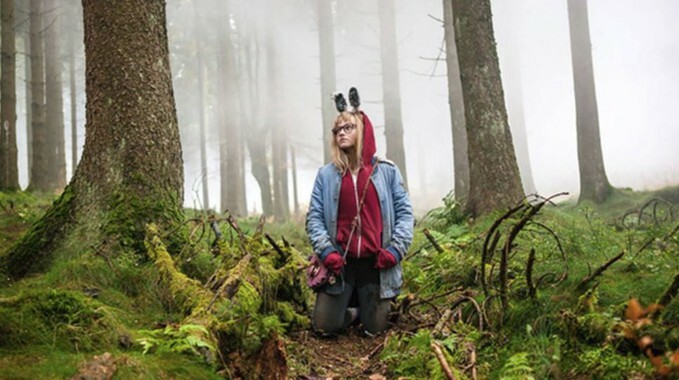 This is the premise of I KILL GIANTS, the debut feature film from Danish director Anders Walter. The film is an adaption of the popular Image Comics miniseries created by Ken Nimura and Joe Kelley. Kelley also penned the screenplay for the film. It's being released by RLJE films who released last year's exploitation throw-back BRAWL IN CELL BLOCK 99. This film has come along at an interesting time in popular culture. "Geek" and gaming culture has never been more mainstream and fandom is hungry for strong female representation in genre stories. I KILL GIANTS certainly speaks to both of those things. Young Madison Wolfe portrays Barbara as a kind of social misfit we don't see often in film. She's quiet but confident and when things get dangerous for her, whether it's with the local bully, played with real believability by Rory Jackson, or a mythical monster, Barbara never shies away from the conflict. She is brave, courageous, and clever. I think that Barbara and her iconic look (the rabbit ears she wears that 'pay homage' to her spirit animal) will become one of the more popular cosplay characters on the convention scene in years to come. A lot of young female geeks will see themselves in Wolfe's memorable performance that goes from being stylized to natural effortlessly as the story calls for it. She's a star in the making and a lot of girls will want to emulate this character she has crafted. Wolfe is not the only one turning in very strong work in the film. Imogen Poots (GREEN ROOM) does an admirable job with the thankless role of Barbara's sister, Karen. Karen appears to be Barbara's caretaker and only support system until a new counselor appears at her school, Mrs. Molle played by Zoe Saldana (GUARDIANS OF THE GALAXY), Molle sees just how troubled Barbara might be and reaches out to her in one of the more realistic approaches to counseling I've seen on film. Saldana is excellent as the calm voice of reason throughout the film and it's nice to see her playing in a more grounded setting again. Ander Walter shows impressive skill for a director who has never done a full feature before. His shot placements are dynamic but never draw attention to themselves and the way he handles the shifting scope of the film illustrates what a strong directorial eye he possesses. The cinematography is handled beautifully by Ramus Helse (who shot several episodes of the Amazon series HAND OF GOD). The sleepy town always appears to be just on the edge of a rainstorm and it adds to the feeling of something large looming just over the horizon. The effects work is also a highlight of the film as it goes for stylized over realistic in its depiction of the evil forces that Barbara battles against and the creatures designs it uses are very fun. Now is the film perfect? No. The way the story plays out is not entirely unpredictable though some of the smaller beats towards the end are different than what you would expect even if you correctly predicted how the film will wrap up. It also is probably about 10 minutes too long at the end. The conclusion and epilogue are just a little too drawn out when their point could be made with fewer scenes and a bit of editing. There is also the matter of Barbara's older brother who only appears in two scenes and then is strangely absent from the rest of the story. The film also stumbles a bit with its fidelity to the imagery of the source material. For example, Barbara's war-hammer which is featured prominently in the film's advertising looks great in a still image but is a little silly in motion. That's a minor complaint though. All told though, I KILL GIANTS, is an excellent debut feature from a promising new director and an exciting new young talent. 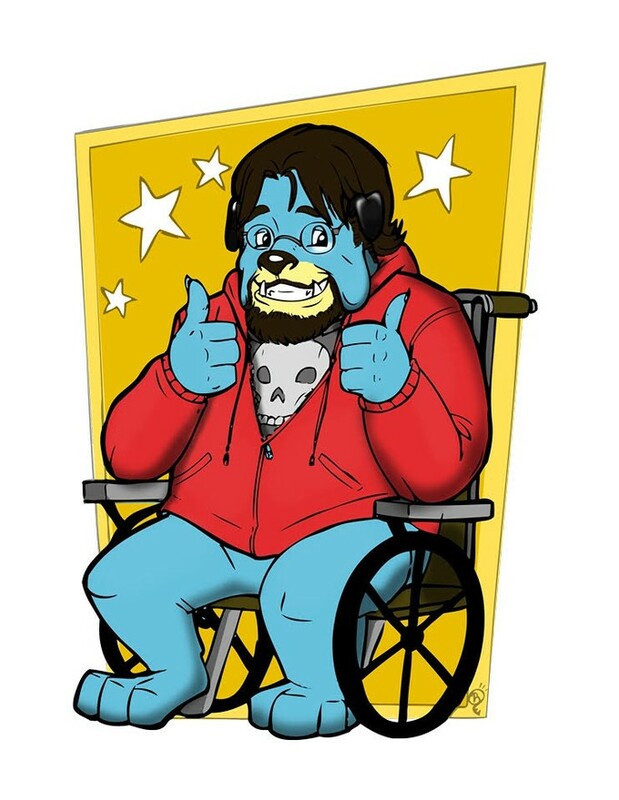 Fans of fantasy, young adult fiction, and gaming culture should definitely see this one out. 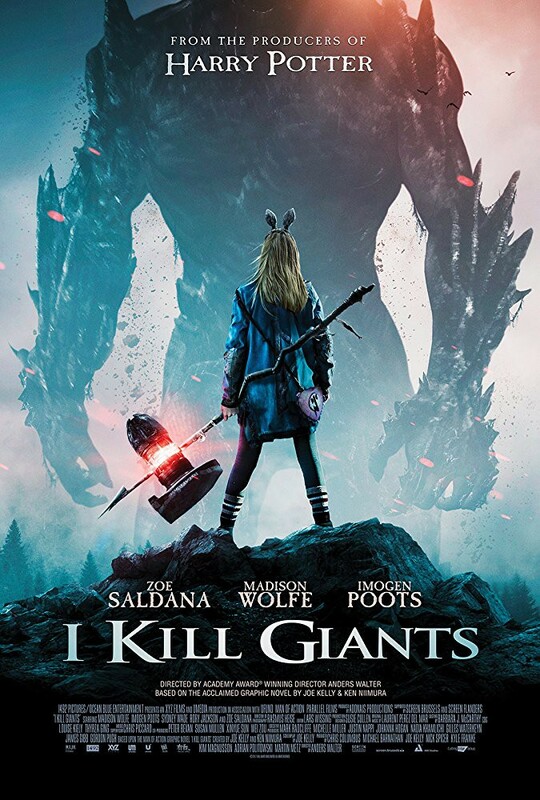 I KILL GIANTS opens in limited theatrical release and on VOD March 23rd.